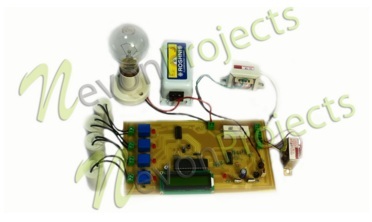 Our project proposes to minimize the energy consumption and thus reduce the power loss in industries and establishments by making use of a number of shunt capacitors. This substantially reduces the electricity bill in industries and establishments. The power factor is also known as the ratio of real power to apparent power. It is also represented as KW/KVA, in the equation KW stands for the active or real power where as KCA stands for reactive + active or apparent power. The power generated by inductive as well as magnetic loads in order to create a magnetic flux is known as reactive power which is a non working power. An increase in the reactive power increases the apparent power, thus decreasing the power factor. With low power factor there is an increase in the need of energy to meet industry demands, this decreases the efficiency. 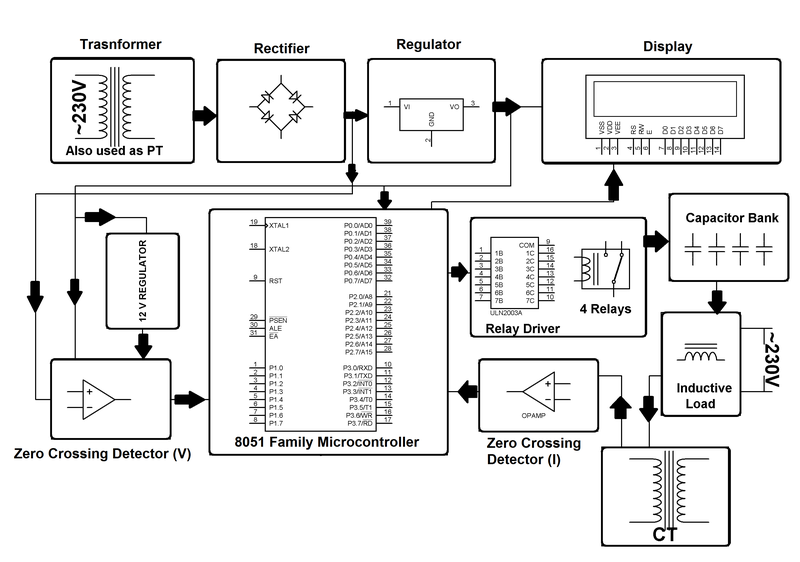 Our system works by feeding the time lag between zero voltage pulse and zero current pulse produced by suitable operation amplifier circuit working in comparator mode to 2 microcontroller pins. The time lag between voltage and current is displayed on a LCD screen. 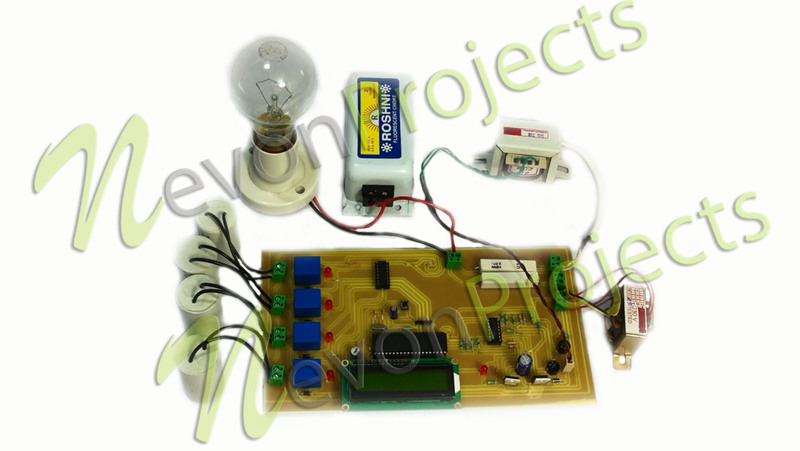 The project program controls the working and actuates required number of relays from the output that will get shunt capacitors into load circuit in order to get power factor until it reaches unity. 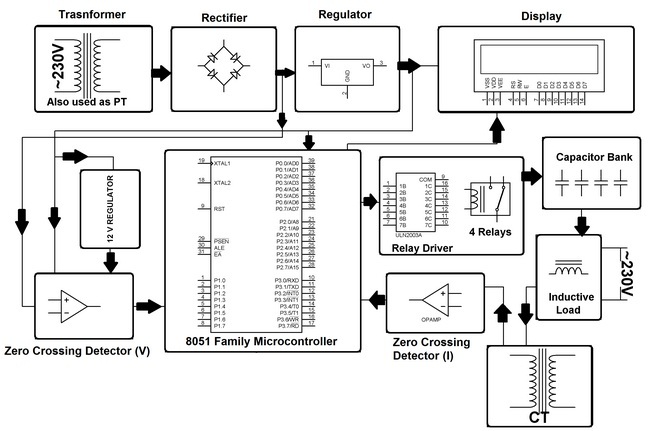 An 8051 microcontroller fulfils this process.